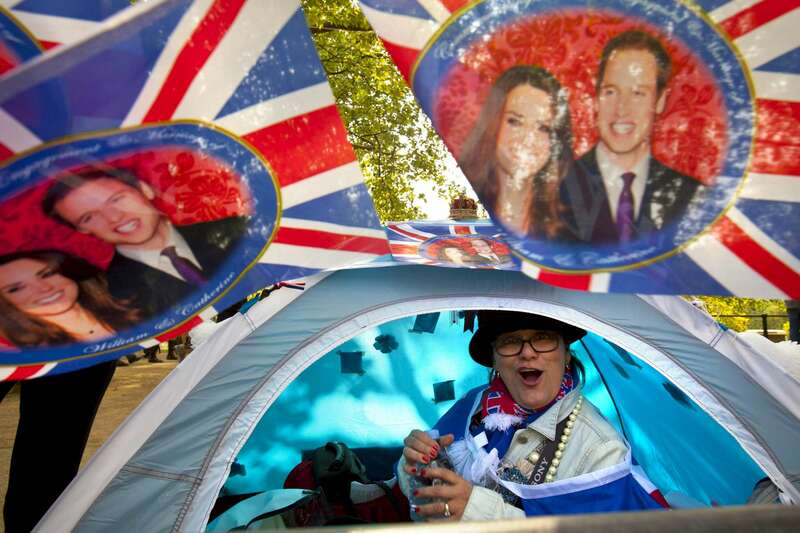 4/28/11 - London, England - Jane Giannoulas, of San Diego, CA, updated the "Royal Adventure Blog" from her tent on the procession path near Buckingham Palace. She is writing the blog for the Union Jack Newspaper, which is the largest British newspaper in the United States. When she learned of the engagement of Kate Middleton to Prince William of Wales, she consulted the Royal calendar and guessed when they would hold the wedding and immediately booked airplane tickets for herself and two friends to London. Lucky for her, her instincts were correct.